Maxed IT Ltd will not charge home users until you are completely satisfied your problem has been resolved. No call out fee for local home users and labour is charged in half hour blocks, so you can rest assured you are getting the best value. Work can be done in your home or office, or at our workshop at a reduced rate. Maxed IT Ltd will always try to give an accurate estimate before any work is done, and always keep you informed of any unforeseen costs. Maxed IT Ltd has experience in a wide range of IT disciplines and business management and as such is ideally placed to work as your strategic partner to drive your business forward. We can call upon over 20 years of experience in Help Desk Services, PC maintenance and support, network administration, software development and implementation, infrastructure installation and operational business management. Maxed IT Ltd strives to provide solutions that deliver results and value, whilst always remaining professional, reliable and customer focused. 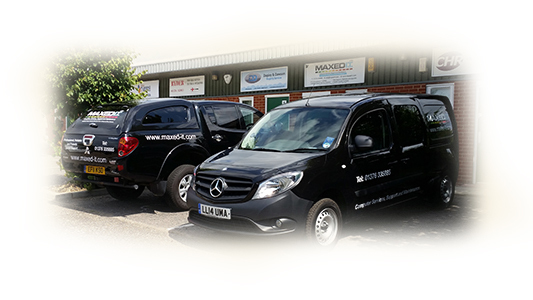 Based in Braintree, Essex, Maxed IT Ltd has easy access to East Anglia, South East England, Greater London and beyond. or email info@maxed-it.com We offer businesses a free consultation to assess your needs and provide advice. Professional, reliable and straightforward. Your PC is our priority.